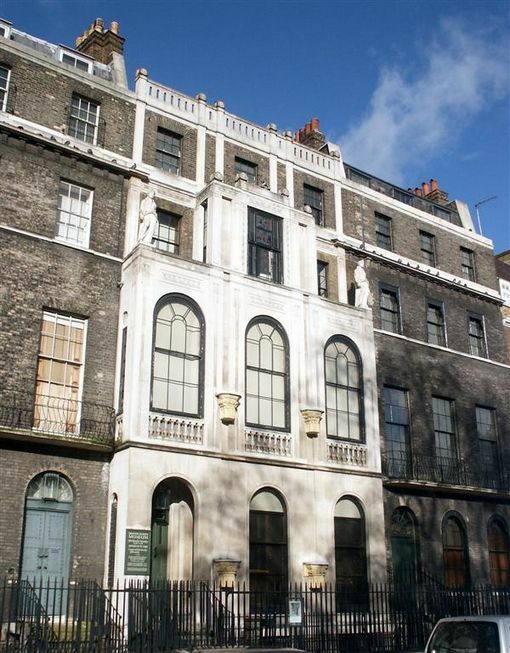 Soane died in 1837 estranged from his surviving sons, so he bequeathed his house to the nation on his death, insisting that nothing was to change. Little has. There are surprises in every room - do ask the wardens to open up the walls of the Hogarth room! Wandering through the maze of rooms is a sheer delight. 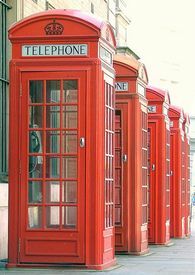 Sir John Soane (1753 - 1837) was an architect best known for his design of the Bank of England. He became fabulously wealthy and spent a lot of his fortune on buying treasures and displaying them in his home in Lincoln's Inn Fields. In the basement you can squeeze by the Sarcophagus of the Pharaoh Seti I, minding the clutter of various Roman and Greek antiquities. Elsewhere you can see the Hogarth series of The Rake's Progress & the Election as well as works by Canaletto, Turner, Reynolds, etc. Tip: take a torch as there are lots of dark corners in the basement! When next you have time to spare waiting at Kings Cross or St Pancras for a train, take a five minute walk north to Old St Pancras Cemetery. It is a quiet spot a world away from the rest of the nearby busy, hustle & bustle. 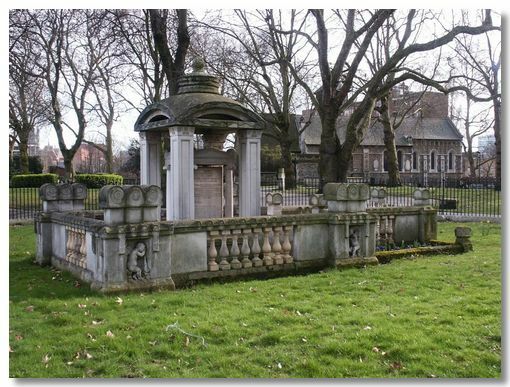 Beyond John Soane's OTT tomb are many others of Victorian interest, including the Pre-Raphaelite artist Ford Madox Brown, the original cockney “pearly king” Henry Croft and the writer Mary Wollstonecraft Godwin.